Headquartered in San Diego, CA; C3AV partners with all types of clients across the country: from Corporations & C-Level Executives to DMC's and private individuals. We've been in business for 20 years and our clients trust us to turn their events into memorable experiences for their audience. 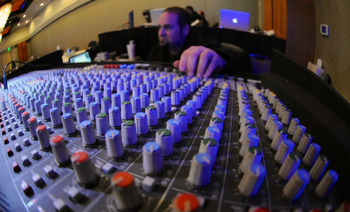 Hire professional technical support to streamline your next event. Cutting edge equipment & up-to-date technology rentals. Uncompromising content creation for small to international brands. With over 20 years of professional experience in the field of large-scale event management and content creation, our team of professional technicians understand the importance of streamlined execution. We have expert experience running events of all different sizes. 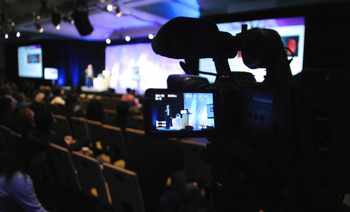 From national corporate meetings with intricate lighting and expansive staging to scaled-down executive meetings that require live video streaming, the C3 Live Events team coordinates with Event Planners, Meeting Planners, and Executive Teams to ensure professional, seamless event production. Our extensive inventory is accompanied by a collaboration of vendors and partners to assure that all of your audio, video and lighting rental needs are accessible with one stop. Reserve one of our popular AV rental packages or call us to customize a package to your specific needs. From consumer level technology to professional, large venue equipment, C3AV.com has you covered. ➤ If you can't find what you're looking for, contact us. We'll find it for you. For over 20 years, C3 FILMS has directed commercials and short films of all shapes and sizes. From the sound stages of San Diego and Los Angeles to remote locations throughout the world... We are a full-service video production powerhouse and have collaborated with corporations, networks, agencies, and independents. We deliver your message to your audience - whether you're one of the world’s biggest brands or a smaller, charitable organization close to our hearts. Pair our experience with our Emmy & Telly Award-winning team of post-production professionals and dynamic storytellers, and you get content creation that is persuasive, imaginative, and unforgettable. We're here to make your job easier and our experts can help you make your next event a success.